Tidbits from the Tremaynes: Come Use My Can. I couldn't part with it. I just couldn't. The Daddy-o suggested trading it with a different door. "How about the bathroom?" He said. Silly Daddy. A chalkboard, inside a bathroom? Wait a second. . . this is pure genius. PURE GENIUS. Note: trading a door by oneself, whilst trying to break a swearing habit is not recommended. But do you see the beauty of this? I can now leave my family and guests secret messages, only to be seen, door closed, by the potty-sitter. What am I suggesting? Read on. If only I could really write this well. Oh my goodness Mandi. You are SO funny. I can't even pick my favorite.....I'm rolling on the ground here. You're great. I'm sitting here reading all that you wrote and cracking up! My son keeps asking what's so funny. 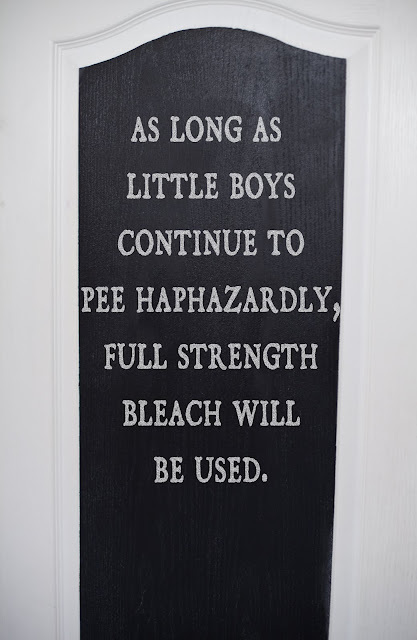 I especially love the one about little boys peeing haphazardly! 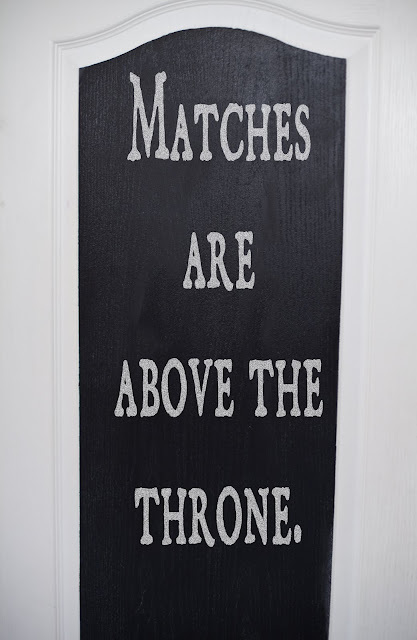 I need this one for my boys bathroom! Thanks for sharing! You are a genius! I love this idea. 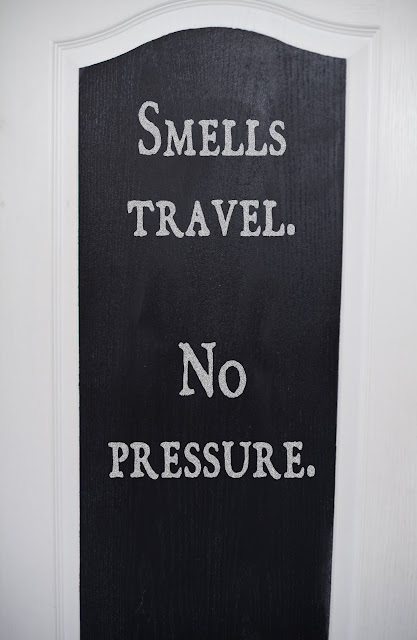 Smells travel is my favorite. My son had dry erase markers in his apartment bathroom where guests would leave him messages on the mirror. Ha ha. Thanks for the laugh! The last one is my fave! Genius! Sheer Genius! 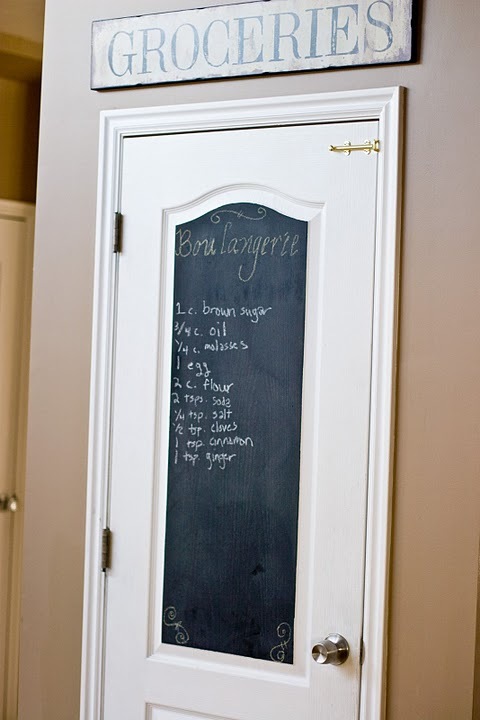 I would imagine this may cause guest to dawdle a while longer in the potty just for the use of chalk board! 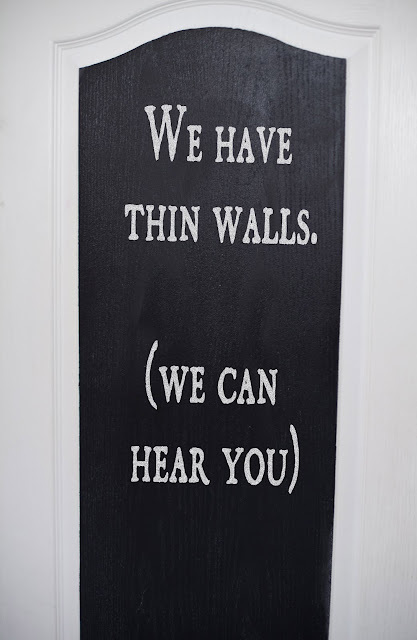 Maybe it's good I am not your neighbor and don't have to use the bathroom and see the thin walls message. I might just die. :) Fun idea. Oh man! Thanks great! I hope you'll leave a piece of chalk so they can write you back! Your right. A chalkboard in the bathroom is a great idea! Especially when you can come up with such side splitting comments! 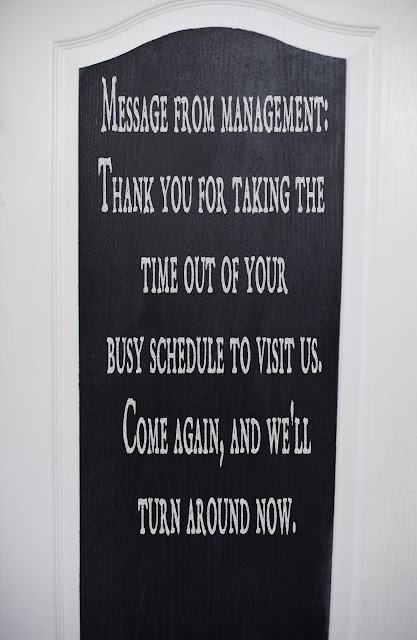 I wish I could come visit you, just to see and use your bathroom door! 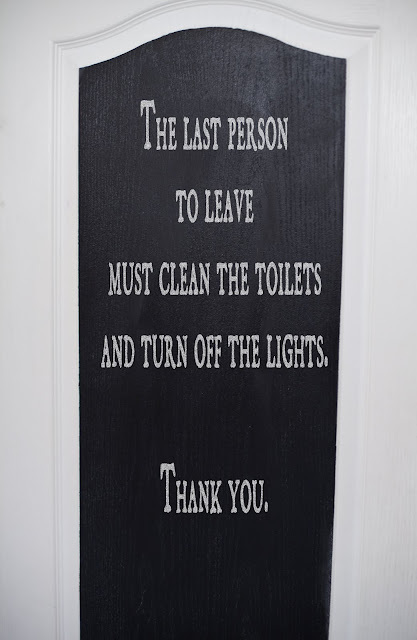 We used to have a sign in our bathroom that said "My aim is to keep this bathroom clean. Your aim will help." That is perfect. I enjoy reading your blog because I never know what I will find. Those are so funny! I can imagine people going in there not knowing you put something on the door and they just start laughing! What a good idea. You know what I secretly think? Why don't they just put chalkboard paint on the stalls in kid's restrooms at schools, then at least you could erase whatever they wrote at the end of the day, right??? LOL!!!! I love it. 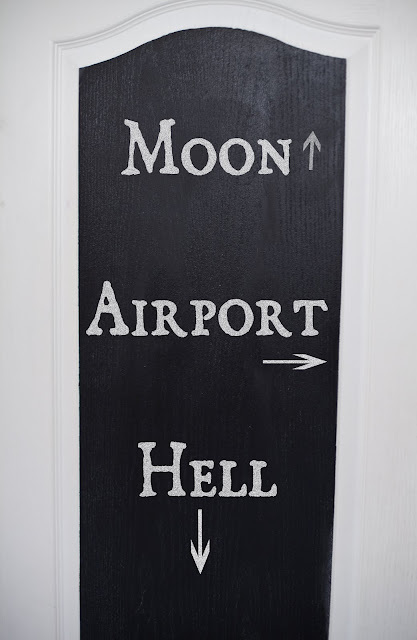 Now I'm off to the Home Depot for some chalkboard paint. Not really, but that would be awesome, hunh? OH. MY. I should just learn not to drink beverages while reading your posts. Laughing, followed by snorting, then spewing icewater on computer is not good for it. Those are genius. I'd be in there scribbling all the time. I love it. There is nothing like a good laugh while you're on the throne. 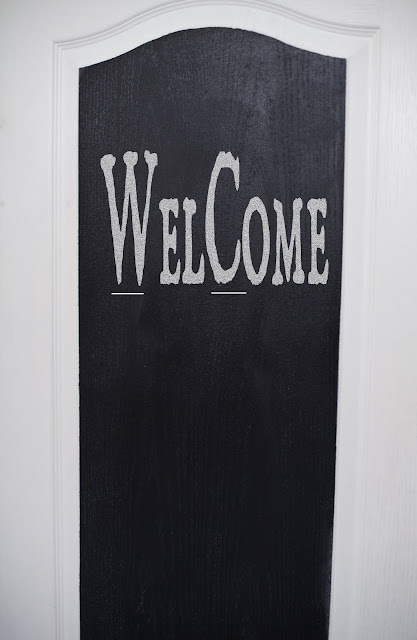 but she has some amazing printables that are great for like printable fabric and such, fun ideas. anyway i love your blog, keep up the amazing work! Those are so funny! I got a kick out them and knew my boys (ages 9 and 11) would find them hysterical. Come to think of it, my husband would probably like these, too. They love the potty humor. Your boys must think you rock! Congrats on your TCB feature! You do wonders with moulding.